Weinsberg is a sub-brand of Knaus, the biggest-selling motorhome brand in its home market of Germany. Exclusively imported by Premium Motorhomes of Doncaster, South Yorkshire, Weinsberg is enjoying a second successful season in the UK. Four motorhome line-ups are available, all pitched at the affordable end of the market: CaraBus van conversions, CaraLoft and CaraCompact low-profile ranges, plus CaraHome overcabs. Weinsberg’s unique selling point is clearly defined: German innovation and build quality, at lower prices than those of the mother brand. Sharp, contemporary design and clever, practical touches such as all-in-one service hatches feature alongside well-crafted cabinetwork and soft furnishings, which wouldn’t look out of place in more expensive ranges. As well as holding its own against several other German imports – Sunlight and Carado, the budget offerings of Dethleffs and Hymer – Weinsberg coachbuilts go up against strong domestic motorhomes from established UK players, such as Swift Group’s Escape range, Elddis, Tribute and Bailey. The Weinsberg CaraCompact 600 MEG has a twin-single beds, half-dinette layout, offering four travel seats and based on the Fiat Ducato, with a 2.3-litre 130bhp turbodiesel engine as standard. It has a spacious rear garage, accessible from both sides of the vehicle, and an eye-catching user payload of 820kg. Not much over 6.5m (21ft 11in) long, the Weinsberg CaraCompact 600 MEG should fit on most driveways, and its modest 2.2m (7ft 3in) width means it will be as comfortable on country roads as on the motorway. With its MTPLM of 3500kg, anyone can drive it. And if you're going on a ferry or under any low bridges or car park height barriers, you might like to make a note of its height, which is just 2.75m (9ft). You can fill it up with 110 litres of fresh water, and the waste water holds 95 litres, giving you time to get to a suitable motorhome service point before you have to empty out that shower water. Another model, the Weinsberg CaraCompact 600 MG, is also available: this has the same footprint but with a transverse rear bed. Standard CaraCompact specification for the UK market includes an overcab skylight, Remis cab blinds, LED ambient lighting and dual-fuel Truma Combi space and water heating. You get a tall fridge freezer, three-burner hob, sink, large kitchen drawer and cupboard. 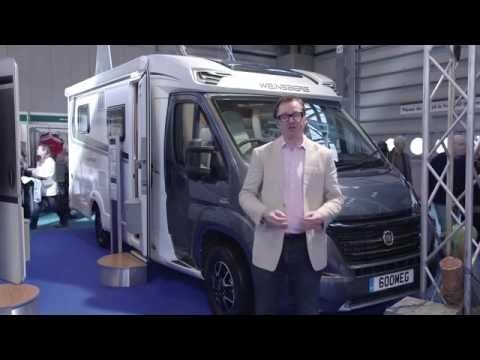 Above and beyond this, Premium Motorhomes offers several option packs to make the CaraCompact even more attractive to UK buyers. The Fiat Package bundles together a series of added extras including cab air con, heated door mirrors, passenger air bag, cruise control, swivelling cab seats and 16in steel wheels for a discounted price (£1985). Further tweaks to the look and feel of the vehicle can be made via four other option packs, all bundles that offer buyers savings, plus three pages of individual options, such as an awning, bike rack, reversing camera, oven and sat-nav. With its sharp looks and high build quality, the Weinsberg CaraCompact 600 MEG should interest buyers looking for an affordable German-built motorhome with a twin-single-beds layout. It feels like good value for money, and adding a couple of option packs will help its residuals.